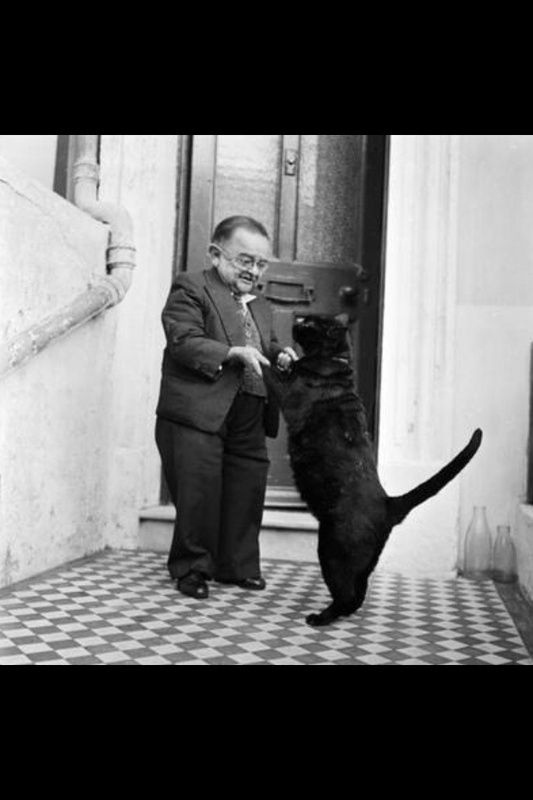 World's smallest man dancing with his pet cat. 26th October 1956. World's smallest man in 1956, Henry Behrens, dancing with his cat. The smallest man in the world dancing with his cat. PsBattle: Henry Behrens, the smallest man in the world dances with his pet cat in the doorway of his Worthing home, 1956. Thought reddit would enjoy a picture of the worlds smallest man dancing with his cat. 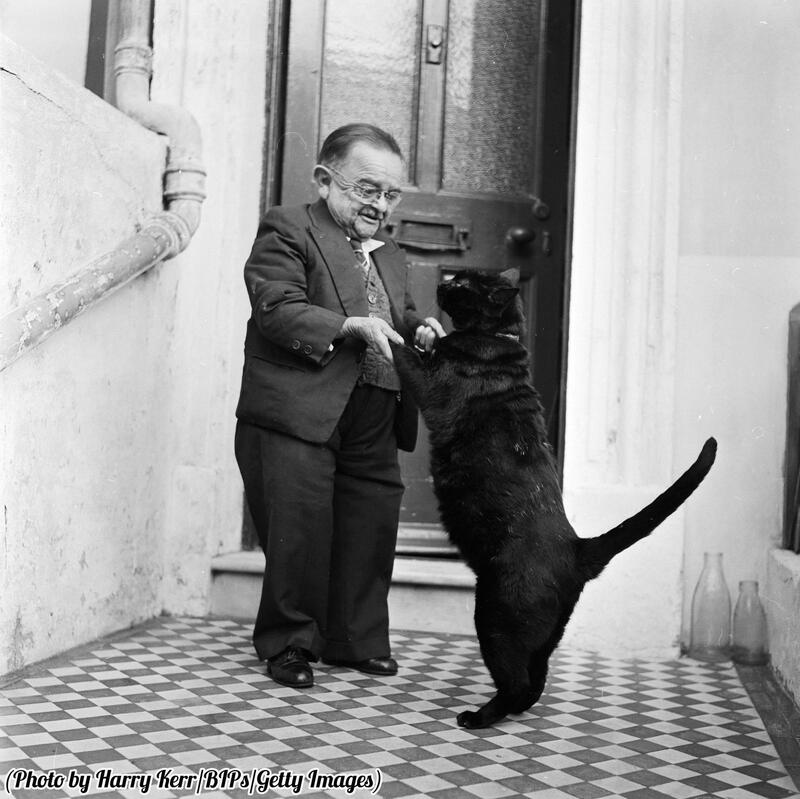 World's smallest man Henry Behrens dances with his kitty. Henry Behrens, the smallest man in the world dances with his pet cat in the doorway of his Worthing home, 1956.